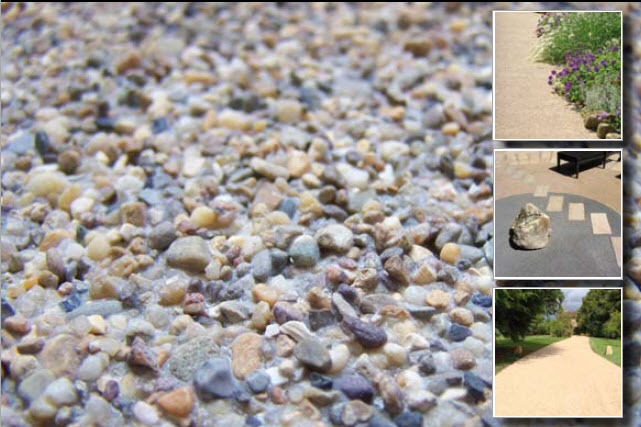 CompleteStreetsUSA is a national distributor of biomass resin for aggregate surfacing. 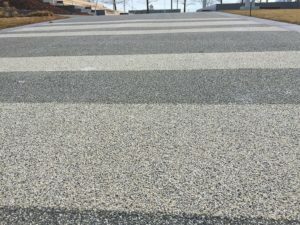 This innovative system gives architects and engineers the ability to create greenways, crosswalks, sidewalks, bike paths or any project requiring an attractive, permeable, or high friction surface. 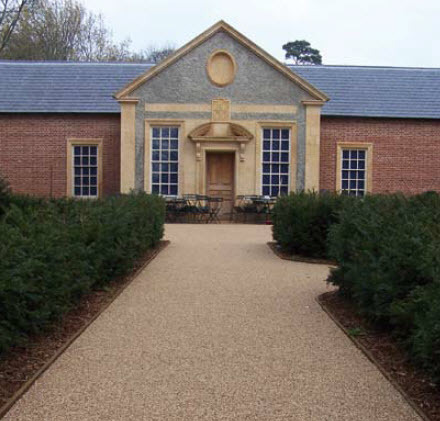 It is our desire to distinguish the importance of finished surfaces that deliver sustainable urban drainage with durable yet stunning results that stand up to freeze and thaw cycles. As a member of the U.S. Green Building Council, with recognition by top performing engineering firms and design organizations, we are setting the standard for a greener, more productive and sustainable future within the industry. 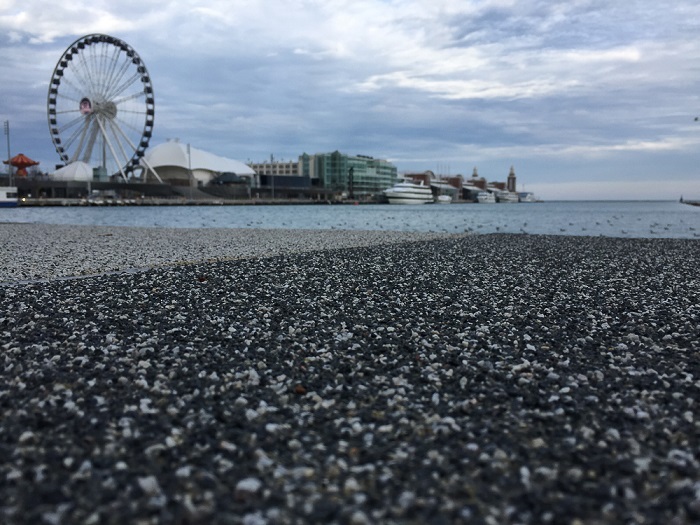 “Polk Brother Park at Navy Pier Chicago required a simple surface over a standard asphalt or concrete base, that provided an aesthetic appearance with varying colors and striping, and offered the ability to repair sections over time. ColdGrip Polyurethane resin bonded paving was chosen for durability and flexibility in cold weather climate with extensive freeze/ thaw cycles, and under vehicular traffic loads, at the Army Core entrance drive. CompleteStreetsUSA was very responsive and flexible, allowing local aggregates to be used. Overall, a very positive experience”. For over thirty years polyurethane resin surfacing has been tested and used in extreme climates across the globe. (See ten year old NJ crosswalk installation here). 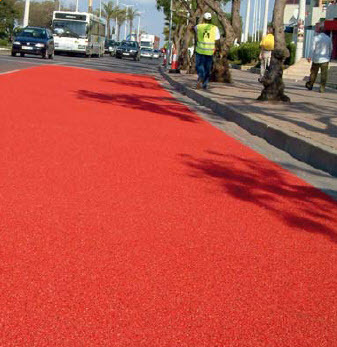 The surfacing is cold applied using a new generation polyurethane resin base. 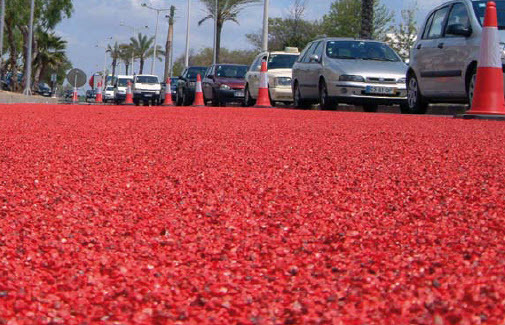 The unique resin has no solvents and creates permeable and anti-skid surfaces that are durable and easy to maintain. Polyurethane Outperforms Thermoplastic and Epoxy Resin Systems. 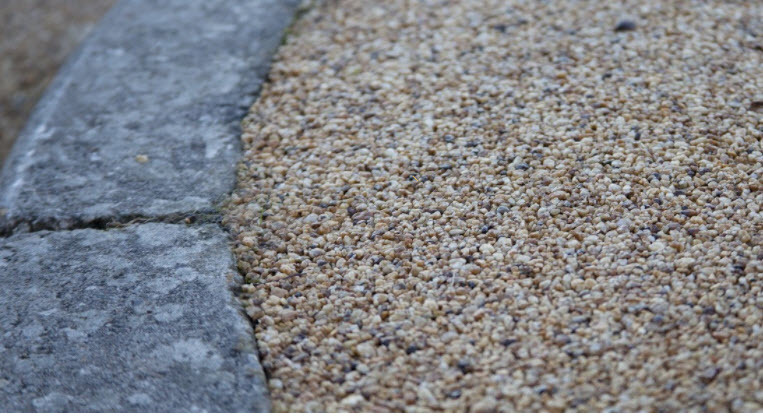 Our Resin Bound paving provides GREEN Infrastructure to reduce stormwater runoff volume and improve water quality. 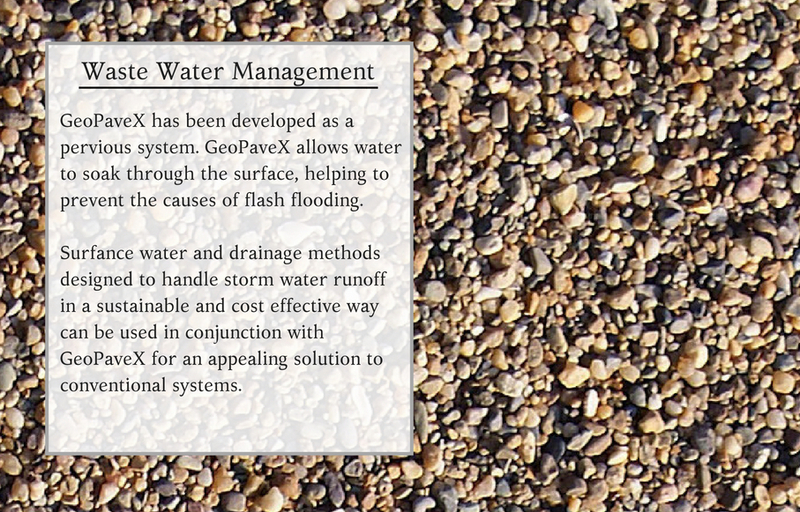 GeoPaveX permeable paving acts as a filter to improve the performance of a permeable asphalt or concrete base. 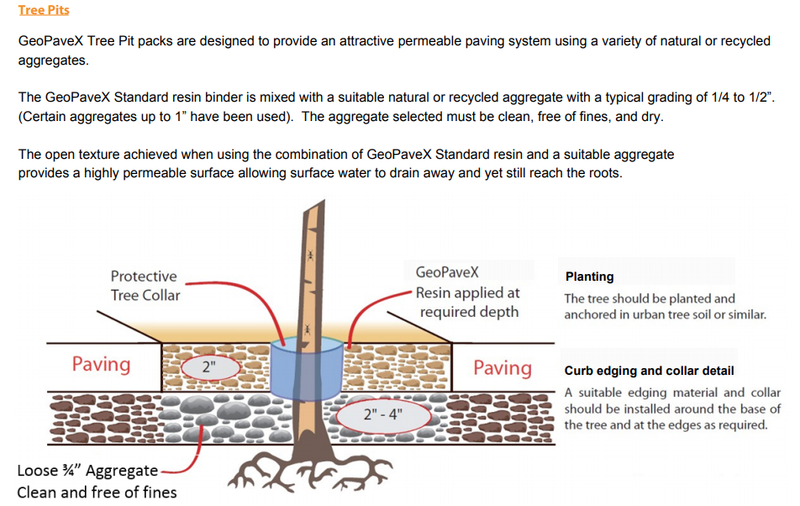 Designers can incorporate GeoPaveX as a Low Impact Development (LID) technique to help fulfill EPA Best Management Practices, and mimic a site’s predevelopment hydrology. Caltrans DOT, NYC DOT, PennDOT, and the US Army Corps of Engineers have all specified the unique properties and performance of hybrid polyurethane resin systems. 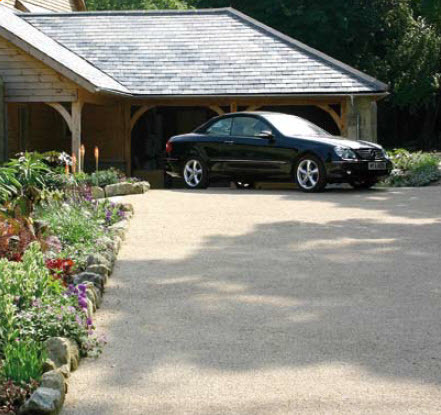 GeoPaveX – Mixes stone aggregate and polyurethane resin together providing a thicker application. The surface is a water permeable to comply with drainage requirements. 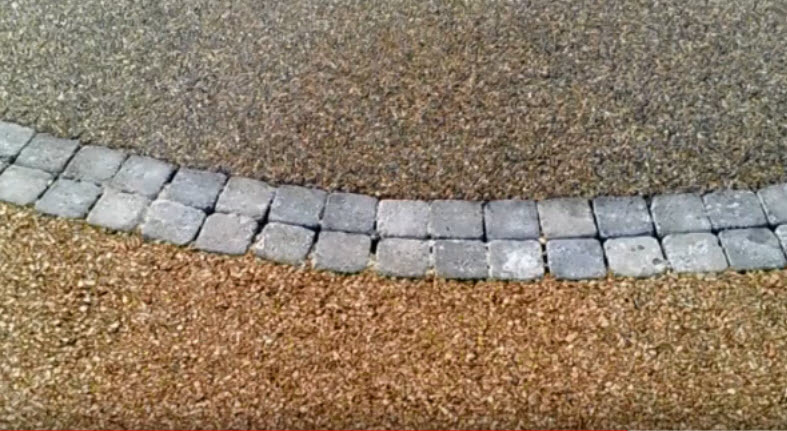 A range of natural or colored aggregates offer options for paving driveways, paths, public spaces, stamped crosswalks, tree pits, flat roofs, internal floors and more. 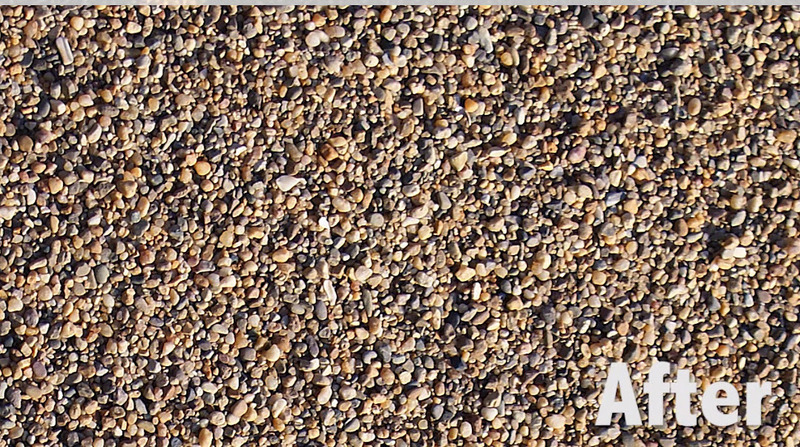 Adtex – Creates a distinctive loose gravel, appearance. 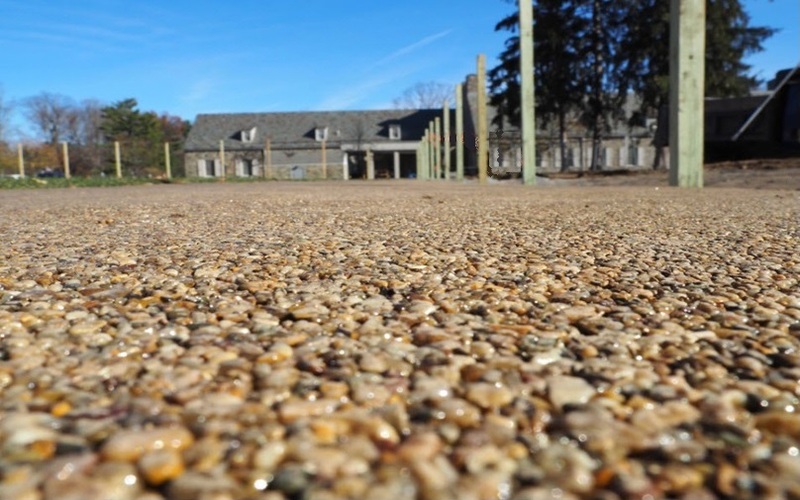 Stone aggregate is broadcast and anchored on polyurethane resin, providing a slip-resistant surface. Stones are locked in place and require minimal maintenance. 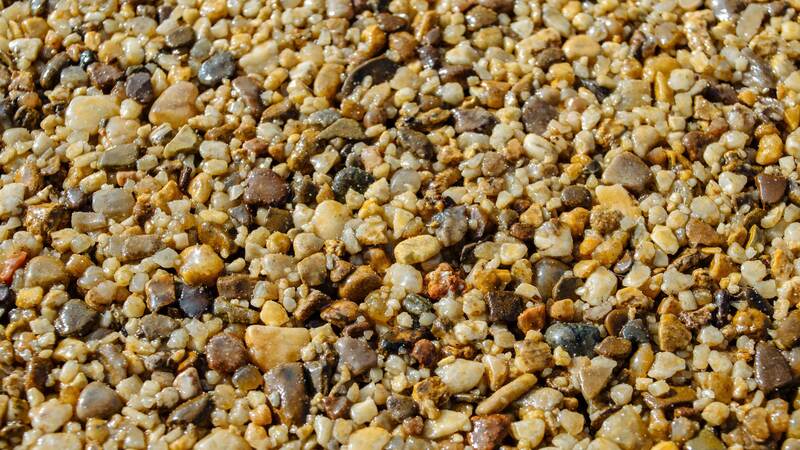 Aggregate is available in many sizes, colors, and textures. GeoPrint provides crosswalks with Department of Transportation Specifications. 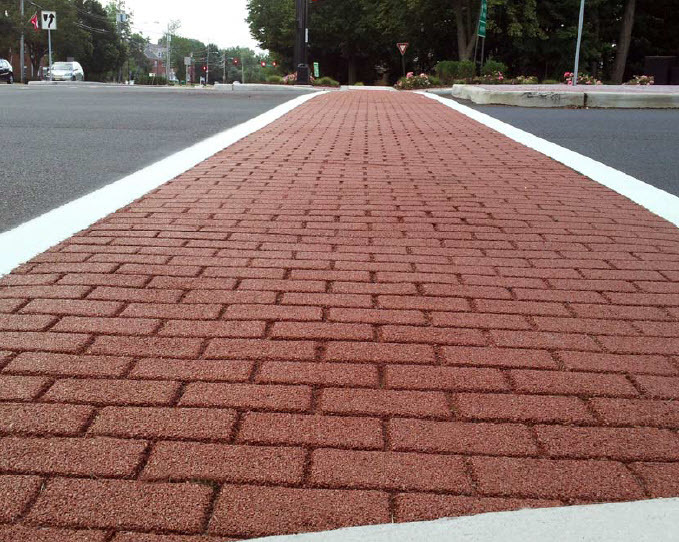 ColdGrip offers high friction, traffic calming solutions. ColorGrip provides safety coating for color demarcation applications. Reflective and high Skid Resistance options are available. 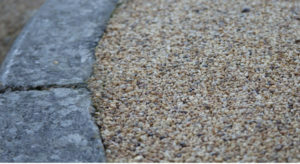 Contact us with any questions about resin-based paving. Copyright © 2019 · CompleteStreetsUSA.